This property sits in a very special place that offers the opportunity to fully enjoy the tropics right in the Central Valley . Ciudad Colón offers that and also a strategic location to access route 27, Caldera port, the Pacific coast, the international airport and the capital city of Costa Rica. Amplitude, security, exclusivity and comfort are all together in this gated community. 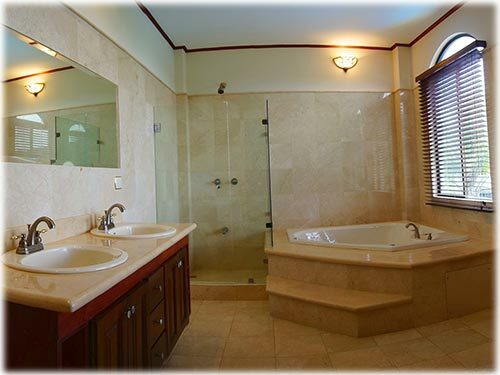 The views of the Rodeo mountains and the privacy of the residential compound welcomes you. Generous gardens growing under the shade of a Guanacaste tree are the perfect match for a great house. A stairway leads you to the main entrance, after that, the living room features a nice fireplace and glimpses of the surroundings. 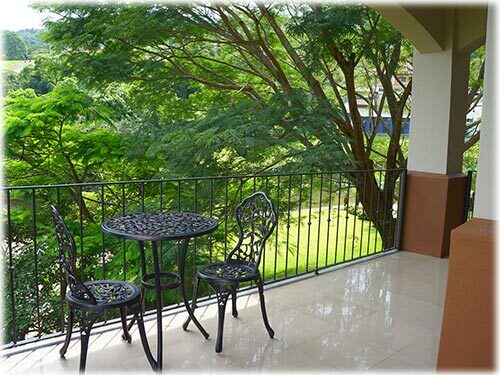 A balcony opens up from this point allowing you to enjoy more deeply the view and the property. The living room is balanced with a room that is used as an office but can easily become another bedroom. The swimming pool becomes a special indulgence for this estate.